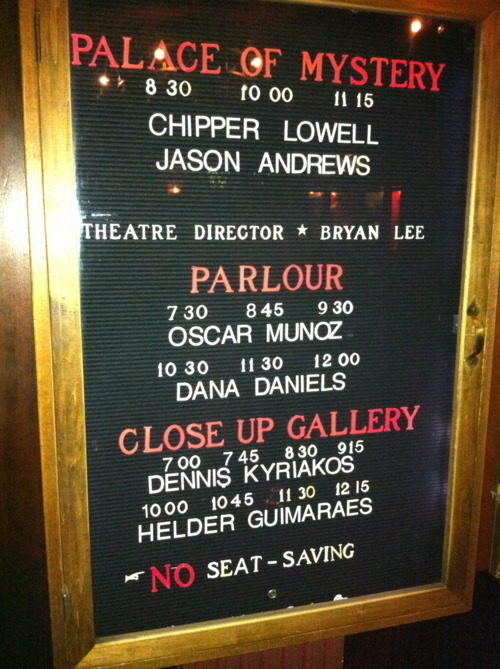 On July 5th, 2011, I made my debut appearance at The Magic Castle in Hollywood, CA. The Close-up Gallery, where I performed, is the most intimate performance space in The Castle. 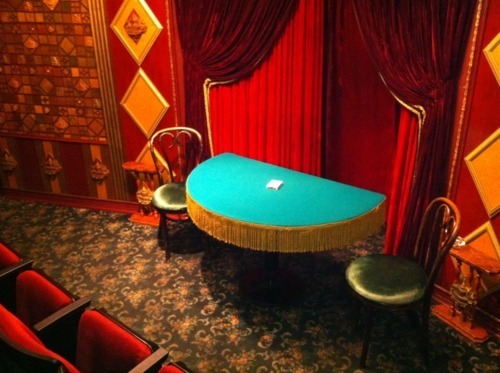 Tiered seating for an audience of twenty-two provides the perfect venue for close-up sleight-of-hand magic. The intense performing schedule — you’re booked to do 4 shows a night for a week! — certainly serve to focus one’s efforts. It doesn’t take long for the act to get “tight” and for the creative juices to start flowing. Unlike the walk-around entertaining I perform at corporate or private events, in The Close-Up Gallery I presented a theatrical-style close-up show. Click here to see a highlight.